Black patients have been shown to be at a higher risk than white patients for developing an ischemic stroke, regardless of the stroke occurring either before or after diagnosis of atrial fibrillation (AF). 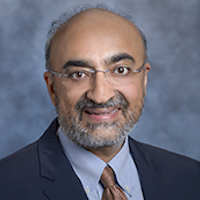 Led by Parin J. Patel, MD, a cardiac electrophysiologist in the division of cardiology at St. Vincent Medical Group in Indianapolis, Indiana, the study assessed the racial differences in strokes that occurred both before and after AF diagnosis in data from the patient cohort of the Penn Atrial Fibrillation Free (PAFF) study. The population studied consisted of 3507 of the 56,835 patients from the University of Pennsylvania Health System that had an incidence of AF and no history of stroke. The black patient population with newly diagnosed AF was found to have a 62% greater chance of having experienced an ischemic stroke prior to their diagnosis than white patients that developed AF (adjusted odds ratio [adjOR], 1.37; 95% CI, 1.03–1.81). When comparing strokes that occurred post-AF diagnosis, black patients had a 67% higher and independent risk of developing ischemic stroke (adjusted hazard ratio [adjHR], 1.67; 95% CI, 1.30–2.14). 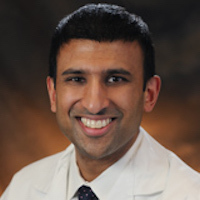 "The clinical implications of these findings indicate that a more rigorous effort to identify individuals from the community with AF, for example by using mobile and wearable technologies, may result in a reduction in overall stroke burden,” senior author Rajat Deo, MD, MTR, an assistant professor of medicine in the Section of Electrophysiology at the Perelman School of Medicine at the University of Pennsylvania, said in a statement. “Further, any effort to enhance AF management across diverse populations is a critical area of public health importance. A widespread screening effort to diagnose subclinical AF may help to reduce the racial disparities observed in the incidence of stroke." Findings revealed that 47% (n = 254) of the ischemic strokes occurred within 6 months of an AF diagnosis. The majority of them occurred either on the day of diagnosis (n = 158; 62.2%) or within a week prior to diagnosis (n = 30; 11.8%). Of The 284 outstanding strokes (53%) occurred within a mean of 3.6 years after AF diagnosis (interquartile range [IQR], 1.9–5.4). Although compared to white men (21% risk) and women (17%) the black population has an estimated lower overall risk (11%) of developing AF, according to data from the Atherosclerosis Risk in Communities study, there exists a higher risk of stroke during this sensitive short-term period prior to and just after an AF diagnosis. "Our study design was unique because we have a time point that represents the initial diagnosis of AF," Deo said. "A better understanding of the burden of AF before and after an ischemic stroke is important. Anticoagulation with newer agents such as novel oral anticoagulant (NOAC) medications could help mitigate the risk of a first stroke and recurrent events." In an accompanying editorial, Sumeet S. Chugh, MD, FHRS, from the Heart Institute at Cedars-Sinai Medical Center in Los Angeles, noted that in an earlier study, it was revealed that the black population had a significantly lower awareness of AF and anticoagulation. The study noted by Chugh also showed that self-reported AF is a strong predictor of stroke that can be utilized as effectively as or in combination with electrocardiogram-detected AF in risk prediction models. "Deo and colleagues are to be congratulated for successfully bringing together the electronic data repositories of several hospitals to study their PAFF cohort," Chugh wrote. "Their findings provide a strong impetus for implementing community-based efforts that address racial disparities in AF and stroke. Given what we already know, it is time to act on these disparities, while continuing to investigate other factors such as differential access to preventive healthcare and compliance with prescribed medications." The study, "Race and Stroke in an Atrial Fibrillation Inception Cohort: Findings from the Penn Atrial Fibrillation Free Study," was published in HeartRhythm.